I am so addicted to HOF slots! I play everyday for a several hours! Several hours a day may sound crazy maybe but I'm recently having to stay at home and can't work for a while, and having HOF to play has been my life saver to enjoy my time at home alone during the day! But I end up playing when I can't sleep as well, any time I have free to play I do! 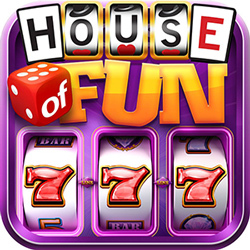 i have played jusjust about every other top slots game there is and none of them have been close to house of fun! Hope they keep up what they are doing and that's a great job putting out new fun addicting slots games! Thanks house of fun you are the best!